Galaxy S7 User Guide - Samsung Pay is the new way to pay with your Samsung Galaxy device. It’s simple and secure, works in more stores than any other mobile payment service. 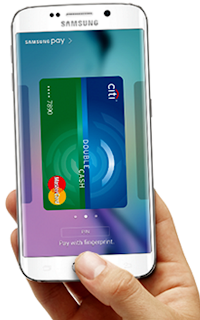 Samsung Pay works almost anywhere a customer can swipe or tap a card. You get support from Samsung, and your customers get to start paying using their phones right away! Swipe up from the home button. 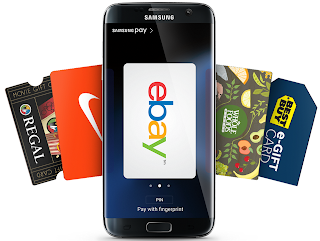 Or, select the Samsung Pay app icon from your home screen or app tray. Hover your phone over the in‑store card reader. Congratulations! To use this feature, you must sign in to your Samsung account and register your fingerprints. For more information, refer to Samsung account and Fingerprint recognition. To make payments with Samsung Pay, the device may be required a connection to a Wi-Fi or mobile network depending on the region. When running this app for the first time or restart it after performing a data reset, follow the on-screen instructions to complete the initial setup. 4 Register your fingerprint to use when making payments. 5 Create a PIN to use when making payments. This PIN will be used to verify various actions in Samsung Pay, such as making payments and unlocking the app. Tap and hold a card image at the bottom of the screen and drag it upwards. Alternatively, tap Samsung Pay on the Apps screen. On the cards list, swipe to the left or right and select a card to use. Place your finger on the Home key to scan your fingerprint. 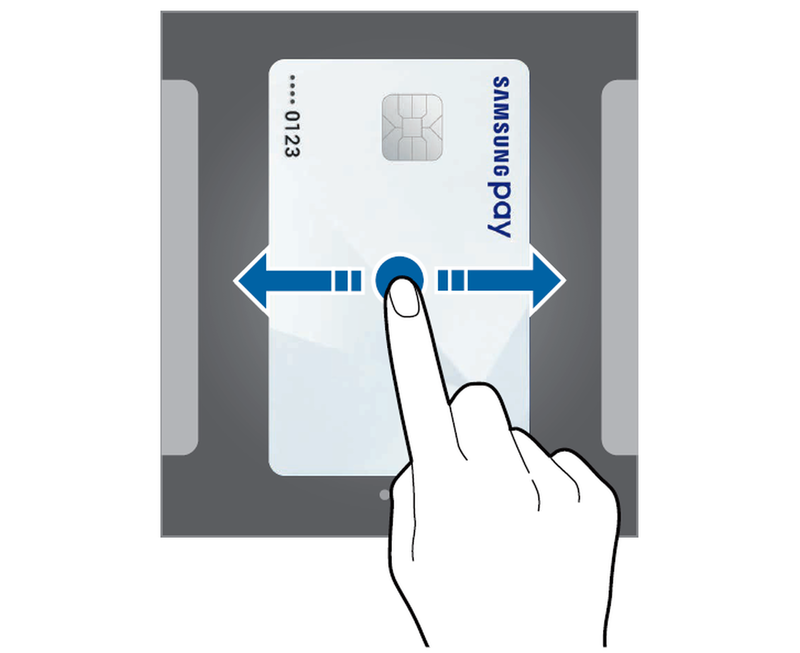 Alternatively, enter the payment PIN you set when setting up the Samsung Pay. Touch the back of your device to the card reader. On the cards list, swipe to the left or right to select the card you used. Follow the on-screen instructions to complete payment cancellation. Changing the Samsung Pay Settings On the Samsung Pay screen, tap More → Settings. Select the screen where the card image will appear to activate Samsung Pay on the Home screen or locked screen, or when the screen is turned off. Samsung Pay is accepted almost anywhere you can swipe or tap your credit card. It makes transactions super easy. 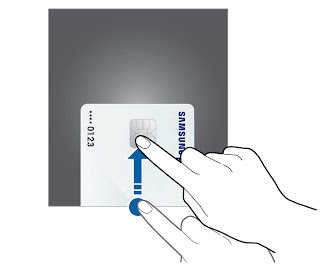 Just swipe up to launch the app, secure with your fingerprint, and hover over the card reader to pay. And it’s safe your purchases remain yours alone. Samsung Pay uses several layers of security. It keeps your payment information separate and doesn’t store or share it, so you can pay without worry. You can view more information, such as cards that support this feature at www.samsung.com/samsungpay. 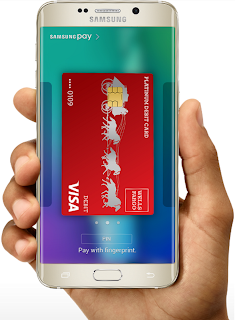 Alternatively, open the Apps screen and tap Samsung Pay → More → Help. • This app’s availability and supported features may vary depending on the region or service provider.